This was actually after the second session. I forgot to take a photo of the first session. 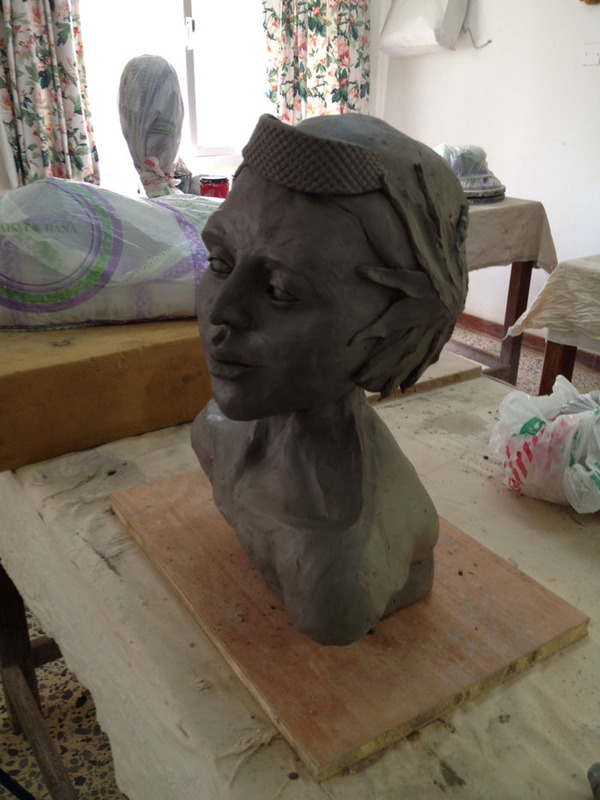 The past four weeks I have been taking a sculpturing class from Michelle Karam. For twenty years Michelle has been operating a ceramics studio. This is the first time I got the opportunity to take her class. She is teaching head sculpting. 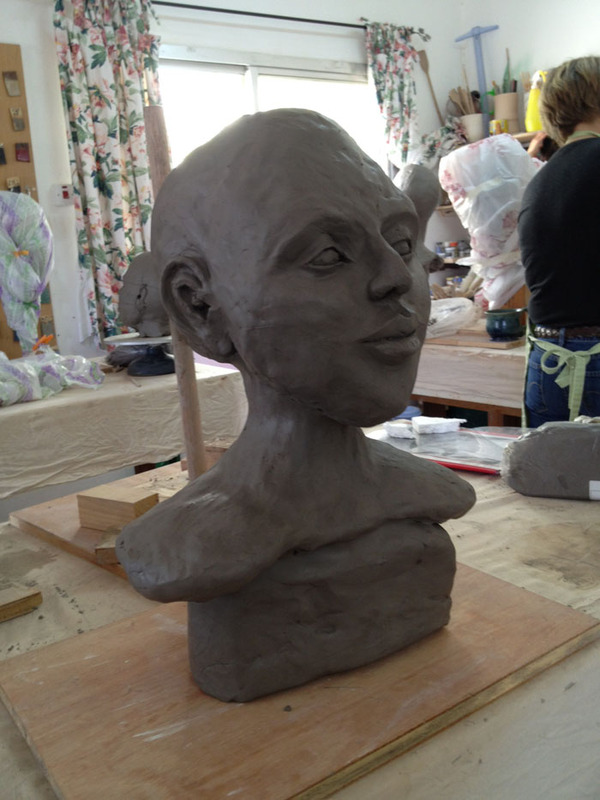 Using her technique, in 8 sessions, we have gone from a figure that resembled a grey alien to a completed project. She taught an amazing method to make the eyes. Session 3 - adding ears and a base. Session 4 - Fixing shoulder proportions and adding hair. Session five, I had to give her a lobotomy. I cut off the back of the head, scraped out the interior clay and reattached the cranium. I gained a new respect for brain surgeons. 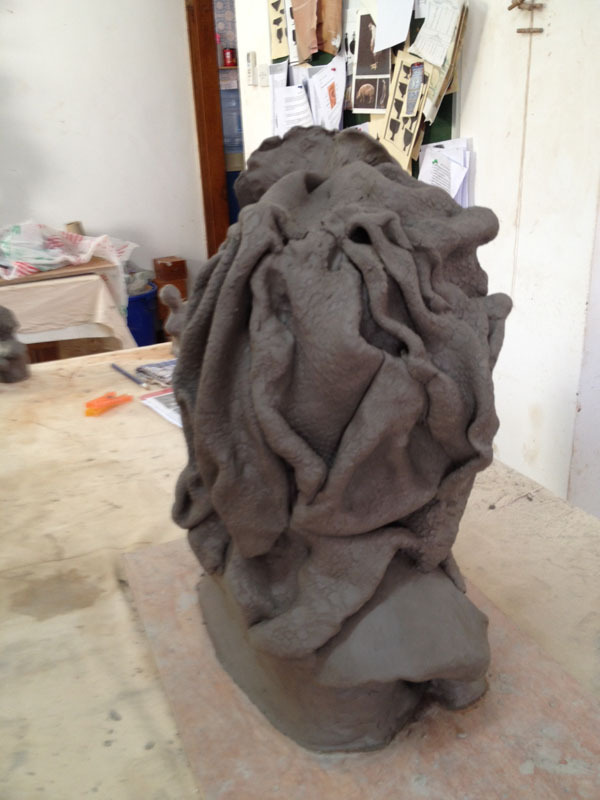 For sessions 6-7, I spent most of the time hollowing out the stand and entire head, before stuffing it with newspaper. I began attaching a hairpiece. It was too heavy. Her neck split open and her head fell backwards, nearly rolling off the table into my neighbor’s lap. With help, I repositioned the head so she leaned forward and patched her severed neck. Then added clay to the stand to support it. Once everything was stable, again, I attached a head scarf. It took four tries to get the headscarf correct. Then I practiced making flowers until I came up with a strange lily and hibiscus arrangement. It was time to be done – for now. The class has been a fantastic experience. The amusing aspect of sculpting is that many of the heads looked quite a bit like their creator despite the attempts to create an Other. I do not think mine looks like me. It was only as I stared at Mojo over dinner did I realize she resembled him – with bigger lips. 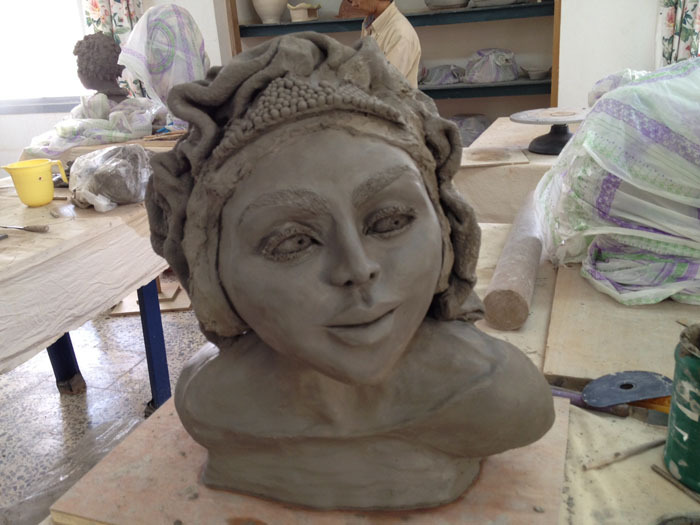 I have no idea what will happen when she dries and is placed in the kiln. I don’t know if she will live through her trial by fire. Perhaps like the Divine I will have to create billions and billions in the hope that one day my creation will be perfect. Previous In the Beginning – Creation in Paradise Next How Much is That Pearl in the Window? WOW! It doesn’t look you but it is very expressive and intense. Brava!!!!! Thank you. Next one will be even more imaginative. Fantastic Eva! I hope it fires well so that we can see the next stage in your artistic creation… well done! Thanks so much for the comments. It’s fun to do but I realize I cannot be married to the outcome as there are too many variables ahead. It’s a lot of fun. A great creative outlet. And Michelle is a great teacher. Michelle is extremely talented. 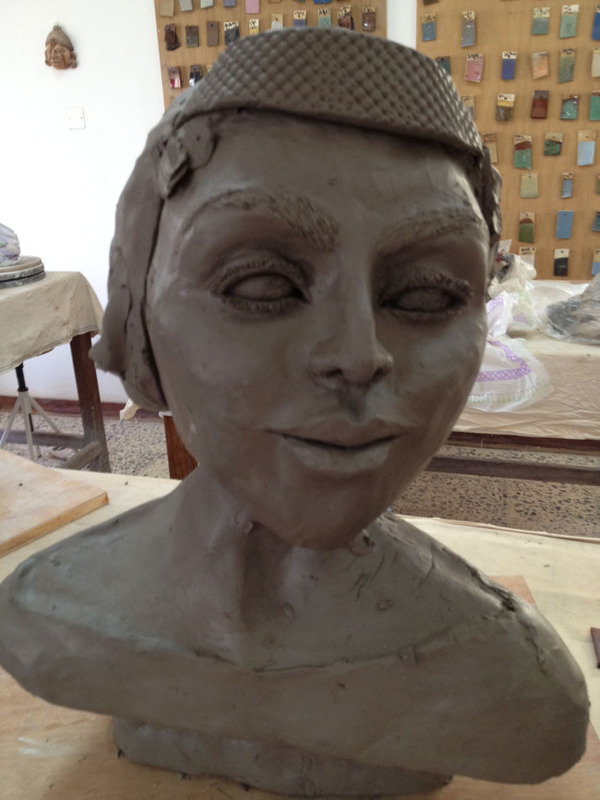 My daughter attended classes with her years ago and I still hold on to the sculptures she made. I couldn’t possibly throw away such work that was made with such determination and care. I love your effort Eva, it is truly imaginative and I see something decidedly eerie that protrudes through it but find it fascinating to look at! Well done. 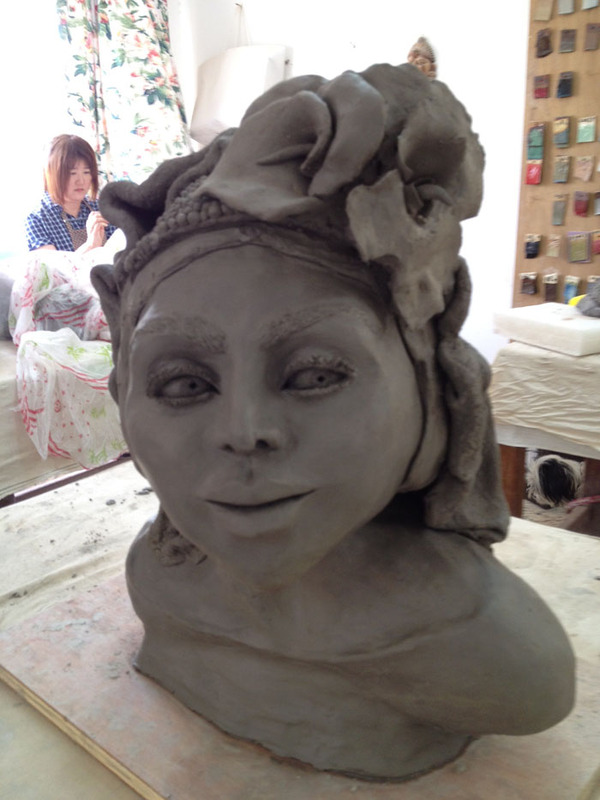 I think you’re a budding “sculptress” ….. you excel at anything you attempt. The photos of your progression were stunning. Wish you’d kept persevering with karate … you would have succeeded in the long hard journey in the end. It’s a difficult, repetitive, obsessive and irritating sport that teaches patience but completely addictive once you get going. I love the fact that you learn to protect yourself and avoid conflict at all costs. Walk away, refrain from violent behaviour, spread the word of love and harmony. I know, slightly quirky when you see how we work out! Enjoyed the story of your woman. 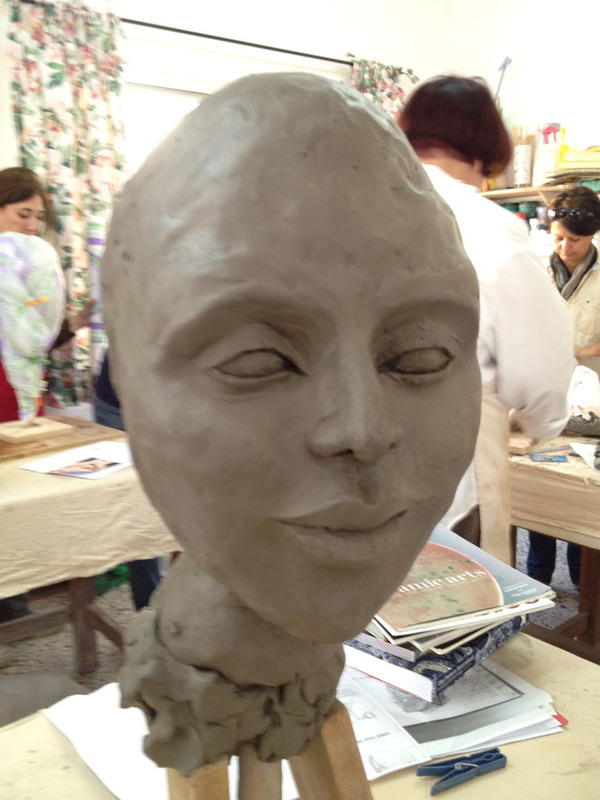 I think she looks more like the other heads you have sculpted in the past – you will have to figure out who that “person” really is that they keep appearing in your creative mind… Doing ceramics is so rewarding because you can be imaginative and creative and still have to be disciplined and focus on the practical realities of structure. Very much like yoga AND karate. Liked the comment about the creation of billions in order to get one right… could be true, although I can imagine that the Creator just has infinite ideas. As you’ve probably experienced, every time you make something you have another idea of how to do it differently. So the whole process is never-ending. Thus Life is Art. Thanks for writing your thoughts. I too am beginning to wonder who that mysterious person is.